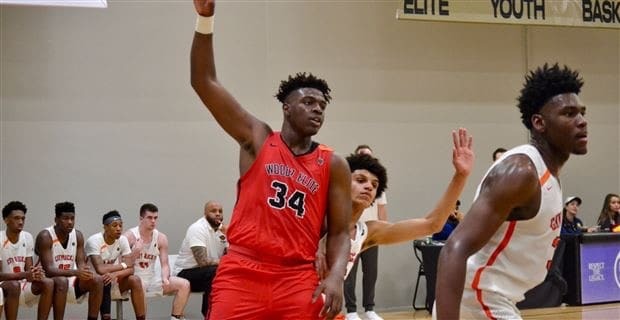 Jason Jitoboh’s commitment to Florida gave the Gators something they longed for, a big-bodied center in the 2019 class that could anchor the paint for seasons to come. I had the chance to talk to Jason about his game and some of the rumors about his foot injury that kept him underappreciated by recruiting rankings and by some coaches around the country. EF: Hey Jason! Thanks so much for doing this, I know things must be busy for you since the commitment. First of all, congratulations and I’m really glad you’re a Gator! For those who haven’t seen you play can you describe your game to them? What is your biggest strength? JJ: My game is very traditional. I dominate the low post, can shoot the middy, and I protect the rim. EF: Is there a particular player or players that you try to model your game around? JJ: I watch a lot of Joel Embiid, Nikola Jokic, and Al Horford, players like that I try to mold my game after. EF: Basketball is changing and a lot of teams are playing smaller lineups. When you get matchup up with a smaller center on the other team how do you approach the matchup? JJ: I’m working on my body so when I’m matchup up against a smaller guy I can move my feet and keep up but at the offensive end I think I would have the advantage and will try to dominate him. EF: How is your foot feeling since the injury? JJ: A lot of people think I’m still hurt but I’m not, I hurt my foot last summer and it’s healed now. I played this whole high school season. 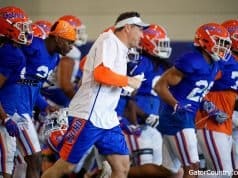 EF: Lots of coaches recruiting you were scared off by the foot injury but Florida persisted. 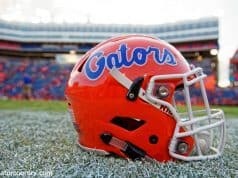 How important is loyalty to you and what role did it play in you committing to the Gators? 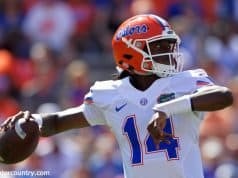 JJ: Yeah a lot of coaches were skeptical about my foot and kinda turned the other way but Florida kept checking on me and showed they cared and relationships are very important to me so it showed they cared and that was very important to me. EF: Florida has a ton of minutes available at the center spot with the graduation of Kevarrius Hayes. How are you viewing the competition for minutes and how important is it for you to play right away? JJ: Obviously I want to go in and play right away and I think if I get my body right I would have the chance to play a lot right away. EF: What are you going to be working on most between now and next season? JJ: Mostly my body and moving my feet, jump shooting, and working on finishing above the rim more. EF: The SEC is notorious for having some of the best bigs in the country. How are you looking forward to competing with some of the best athletes in the country at your position? JJ: I can’t wait to matchup against the best centers and prove I can hold my own against them. EF: A few days after your commitment the Gators got a commitment from another Tennessee product in Ques Glover. First off, do you know him at all and second, can you talk about why Tennessee is producing some of the best athletes in the country? JJ: Yeah I’m cool with Ques he is a very good player, we played against each other this year. And Tennessee is a sleeper state, we have a lot of good players and we got the number one player in the nation. EF: I know I asked you about talent in Tennessee where you live currently but you grew up in Abuja, Nigeria. I have a few friends from Abuja and they regularly remind me that the city has some of the best soccer players in the world. How are your skills on the pitch? JJ: Yeah being from Nigeria I used to play a lot of soccer but I wasn’t the best at it, just something to do with my friends. EF: Thanks so much for doing this Jason, it was great to get to know you more! What is next for you this spring and summer? JJ: No problem, just getting my mind and body right for college. You can follow Jason on Twitter at @JasonJitoboh.